Starting before 24 hours of the first show, As long as you have the flu or cold symptoms its contagious. The viruses remain the ability to spread these until the last sniffle. All of us experience cold and flu at some point or another. While from a common cold that is mild, one slowly recovers without treatment, symptoms of seasonal influenza are severe and sometimes fatal. Both are caused by viral infections (except for some cases) and are transmitted from one infected person to another. Therefore, if a person is infected with the flu virus, the chances of spreading it to other members of the family are high. Is the flu contagious even after taking antiviral drugs? Read on for an answer to this question. When is the flu contagious? After being exposed to the influenza virus, the pathogen is preserved inside the body without causing symptoms. This particular time interval is called the incubation period of a disease. As for the flu, the incubation period can last from 1 to 4 days, depending on the general health condition of the infected person. Flu is contagious, even before symptoms appear, 1 day before showing noticeable symptoms. Therefore, an infected person can transmit the virus to others, not knowing that it has been infected. This is the main reason why it is tough to contain the disease of the flu and prevent it from spreading to healthy people. As mentioned above, the period of influenza spreading begins one day before the development of early flu symptoms. This trend will be maintained for 5 days or a week after the person is diagnosed as ill. In simple words, the transmission takes place before and after falling ill. This is the case of infected children, who are able to pass the influenza virus over an extended period. Precisely, the term of contagion can last from 7 to 14 days. This is because the development of the immune system takes more time to expel the virus completely. The incidence of influenza is higher during a particular period of the year. For example, the peak season for influenza incidence begins in November and continues through March of next year. The mode of propagation of the causal pathogen is through the respiratory droplets, released by the infected person when speaking, coughing or sneezing. Believe it or not, a patient with influenza can spread the virus to someone else, who is about 6 feet away from it. As expected, the transmission of disease from an infected person to healthy people is greater in densely populated areas. How long is the flu contagious after taking Tamiflu? Of all medications for the treatment of influenza, oseltamivir (trade name Tamiflu) is prescribed as a safe antiviral drug for seasonal flu and swine flu. It can be administered within 1 - 2 days after the manifestation of flu symptoms. It also prescribes people, who may be infected with the flu virus, but still, do not have symptoms. Once inside the body, the action of influenza virus (both type A and type B) is inhibited and helps relieve symptoms. There is no accurate data on the period of disease transmission after taking an antiviral drug. But it is believed, that shortens the period to a few days. The risk of contact with the flu virus is highest among children, pregnant women and people who have a weakened immune system. 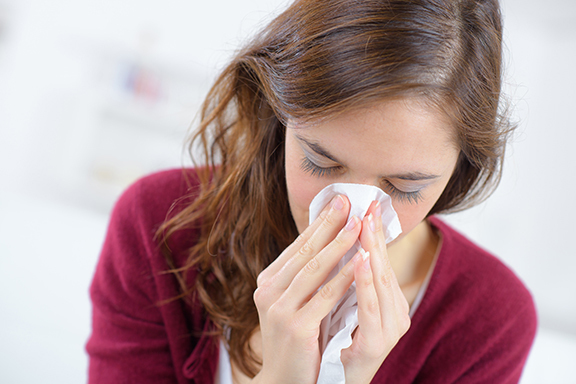 Instead of going for flu treatment, adopt personal hygiene to prevent infections. Washing your hands with soap and water or using a hand sanitizer frequently are simple tricks to minimize the risk of coming into contact with the influenza virus. Also, infected people should be sure to follow proper respiratory hygiene, to prevent the spread of infection.